Dante wants Lulu to go back to PC, now that his cover is blown, but she points out her true identity is still under wraps. She informs Dante that she wants to wait for Luke and bring him home. Dante reminds her that Luke is dealing with what happened as best he can, but Lulu can&apos;t accept that. She tells Dante that he doesn’t understand how much she loves her father, and knows he would do the same if it were Olivia. She’s not leaving without Luke, period. Brenda meets with Jax, who tells her he thinks he won the case and thanks her for telling the truth. He wonders if she and Sonny fought about her testimony. She says Sonny never came home and won’t return her calls. Jax tells her that Sonny will never be the man she wants. Jax knows he’s done everything to protect Josslyn and hopes Brenda will do the same for Alec. Carly goes to Alexis and asks for her help to not lose her daughter. She tells Alexis about Brenda&apos;s almost shooting and how that proves Jax is right about children being in danger around Sonny. Alexis feels terrible for Carly, but can’t take sides. Alexis tells her to figure out a way to make it work if Jax gets custody. Carly wants her to go to Jax and beg him to compromise with Carly. Molly overhears the conversation. Alexis tells her to comply with whatever the court decides, and if Jax takes Josslyn out of country, then to appeal the decision. She tells Carly to show the court she’ll do anything for her daughter, which Carly understands to mean cutting ties with Sonny and Jason. Carly asks if Ric came back and wanted Molly, but it meant cutting ties with Sonny and Sam, would Alexis do it? Sonny asks Olivia to help Carly keep her daughter, but even though Olivia feels badly for Carly, it’s not her fight. He says she should understand how it would feel to lose her child, but Olivia points out that if Sonny had tried to take Dante, she would have fought him hard. Grace arrives as Olivia’s leaving. Sonny questions whether Grace is ready to do what he’s asking of her, of face a prison sentence. Javier confronts Lupe about Dante being a cop and not warning him. Lupe assures him that Lulu will take care of Dante. Later on, Lulu shows up for work, but the place is empty. She asks Javier what&apos;s going on, and he tells her one of the girls died and shows her a knife. When Dante arrives, Javier admits Lupe died because she got drunk, slipped in the shower and broke her neck. He wants Dante’s help in cleaning it up. Once he walks away, Lulu warns Dante that Javier had a knife and Dante tells her to go back to the hotel. Later, when Lulu gets back to her hotel, Javier is waiting for her. He found her passport and knows she’s Luke’s daughter. Ethan runs into Kristina at Kelly’s. He pretends that Abby should be meeting him there, but Kris isn’t buying it. She asks him about riding horses and he tells her about a job he had on a ranch, until he bailed to go pick pocketing. Kristina wants them to go horseback riding on the trails and maybe have a picnic. Molly stops by; looking for Morgan and distractedly takes off again. Ethan tells Kristina that if she’s determined to spend time with him, it will have to be on his terms. He asks her to go to Vegas with him and run cons. He wants her to play hostess to unsavory gamblers and mentions she’ll need to pretend to be older. The more he talks, the more uncomfortable Kristina grows. She points out she’s still grounded and takes off. Ethan commends himself for scaring her off. Alexis goes to Jax and asks him to find a middle ground with Carly because it’s not about winning. She says she’s trying to save him from pain and wonders where what happened to his compassion. Alexis says Carly is right and brings up the Ric/Molly issue. Jax tells her if Molly were his, he’d fight Alexis too. Molly meets with Morgan and explains that Carly will likely lose the case and Jax will take Josslyn. Morgan refuses to let that happen. Molly has a plan and wonders how much money he can get his hands on. Jax and Olivia are working. He tells her that after he wins custody, he’ll take Josslyn to visit Lady Jane. Olivia’s surprised that he would take her out of the country, but doesn’t fight him. Grace arrives, which also surprises Olivia before she leaves. Carly wonders what Sonny is planning, but he assures her that everything is fine and Jax won’t get Josslyn. He tells her to go home and spend time with her kids. Brenda shows up and Carly angrily reminds her that she went to find Alec, because she believes kids should be with their mother. She demands to know Brenda failed to mention that to the judge. Brenda says the judge didn’t ask. Carly hopes Brenda never has to deal with losing her child and storms off. Brenda wonders if Sonny is mad at her, since he didn’t come home nor did he return her calls. He tells her he stayed at his apartment downtown, a place she never knew existed before now. She thinks Sonny wanted her to lie on the stand. 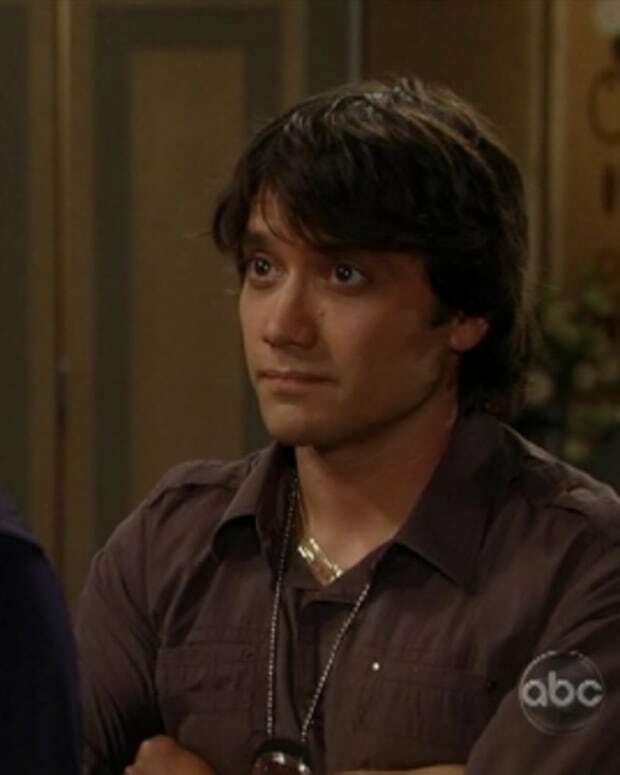 However, Sonny feels all the blame is Jax’s and that the custody battle has nothing to do with them. He no longer wants to play in Jax’s hands and apologizes to Brenda. Carly returns home and calls out for Morgan and Josslyn. She continues to call and wonders if he had fun babysitting his sister. He doesn’t answer and she searches the house looking for him. She calls his cell, only to have it ring on the coffee table in front of her. Jax tells Grace that he appreciates all her help. She gets him some coffee and drugs it. After he drinks it, he quickly realizes he’s been drugged. Jax wonders why and Grace rips off her clothes, locks herself in the bathroom and calls 911, while Jax bangs on the door.